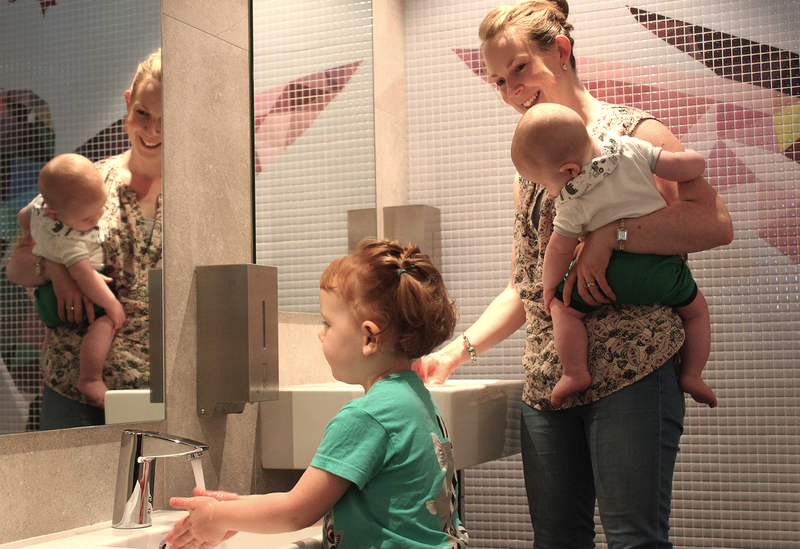 The new parents room in the refurbished Monaro Mall, Canberra Centre not only functions practically but also is a space for young families to relax and refresh. Creating a desirable amenity space. Following extensive user research, a new approach to parents rooms was developed. 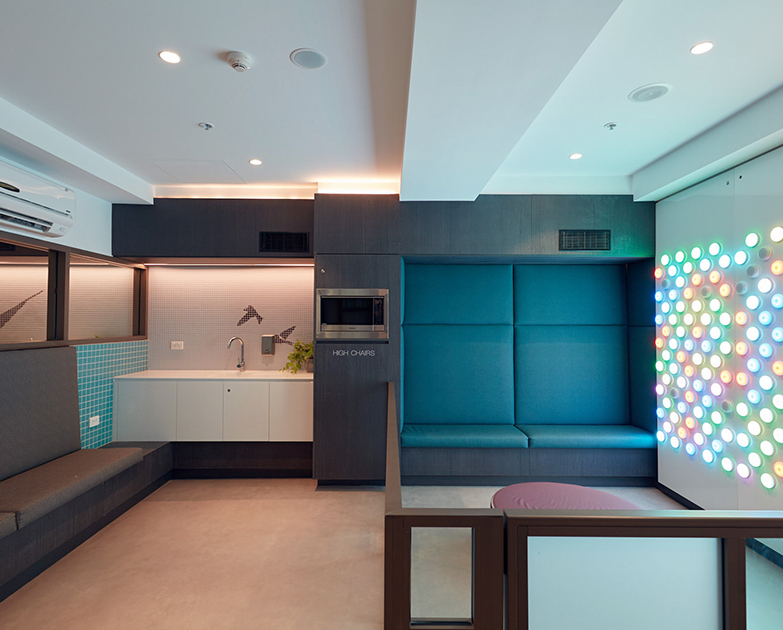 The design creates a calming and luxurious environment for parents whilst being fun and inviting for children. The design and materiality has a homely feel and ties in with the ‘retro revival’ luxurious aesthetic of the newly refurbished Monaro Mall. This is incorporated by drawing elements from the 1960’s interior colour and geometric pattern design and transforming them into a contemporary sleek design. 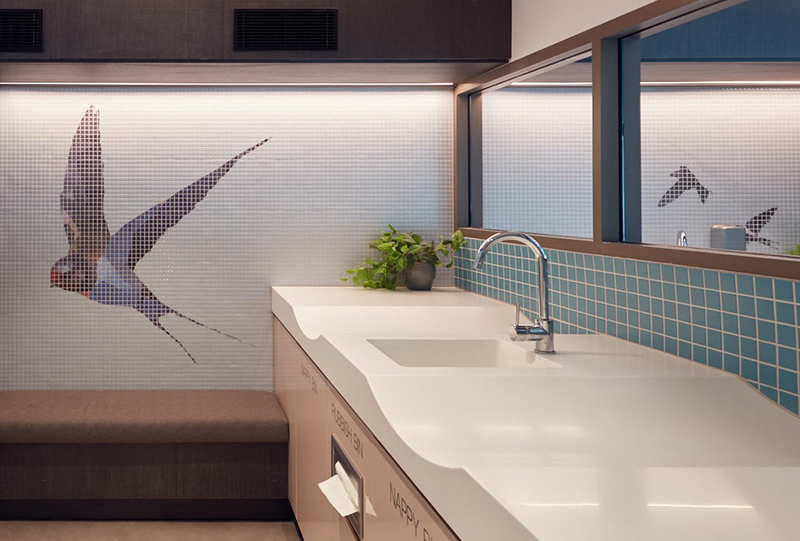 We engaged Studio Cockatoo’s graphic designer, Kate Bordessa to create geometric bird artworks that were used as mosaic tiled mural focal points upon entering the spaces. Birds were chosen because of their graceful movement that aligns with the relaxing background music. 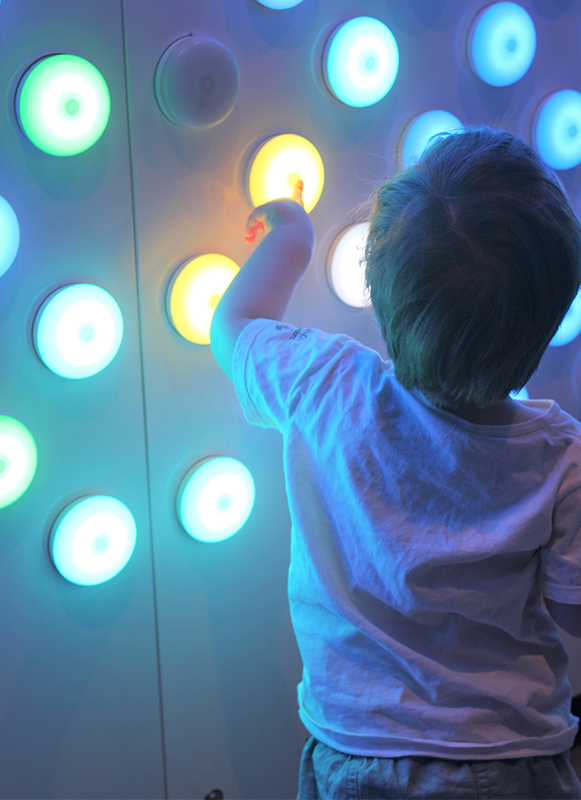 Excitement and fun is incorporated with the integration of light and art. 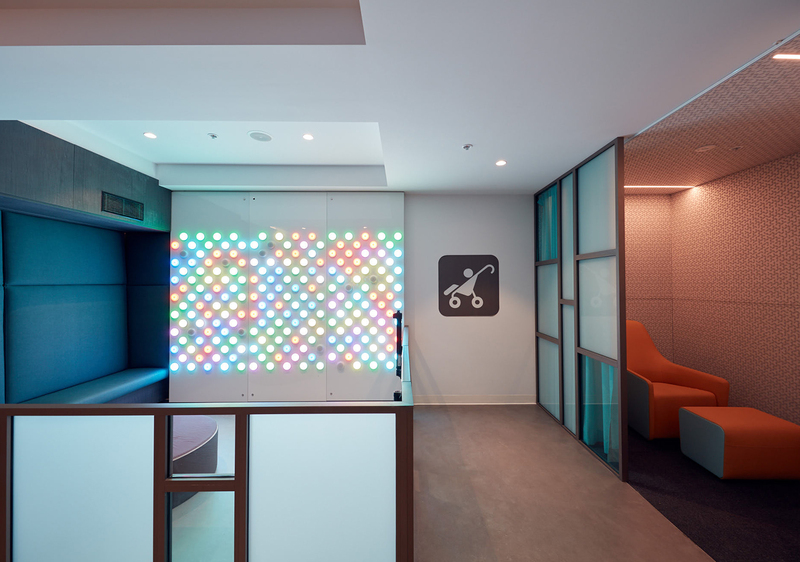 The interactive ‘A light touch’ LED wall installation by David Loughnan from Traffik Group used on the Monaro Mall hoarding during construction was a great success and the recipient of the AMI award for Customer Experience Marketing in 2016, that we requested it to be relocated to the parents room as a permanent interactive fixture. This enables children to be entertained and occupied in a secure area whilst the parents can tend to their infant.